We have the equipment, experience and expertise to get your business up and running smoothly again after a fire disaster. Most employee breakrooms have a microwave. These types of ovens are a common cause of commercial fire damage in businesses most often due to plastics or papers that are not microwave-safe being used. Brown paper bags are particularly volatile inside of a microwave. It is vital that fire loss is addressed as soon as possible to mitigate damage to the structure and contents. When SERVPRO is called to turn around commercial fire damage in Kutztown retail facilities such as big box stores, our first concern is the safety of both employees and customers while we work and whether or not the business can stay open during remediation is determined on a case by case basis. During the initial phone call, we usually ask that the HVAC is turned off as smoke and soot can travel HVAC vents. In the case of damage left behind by a microwave fire, we expect smoke residue and soot, fire extinguisher residue plus odors to deal with. 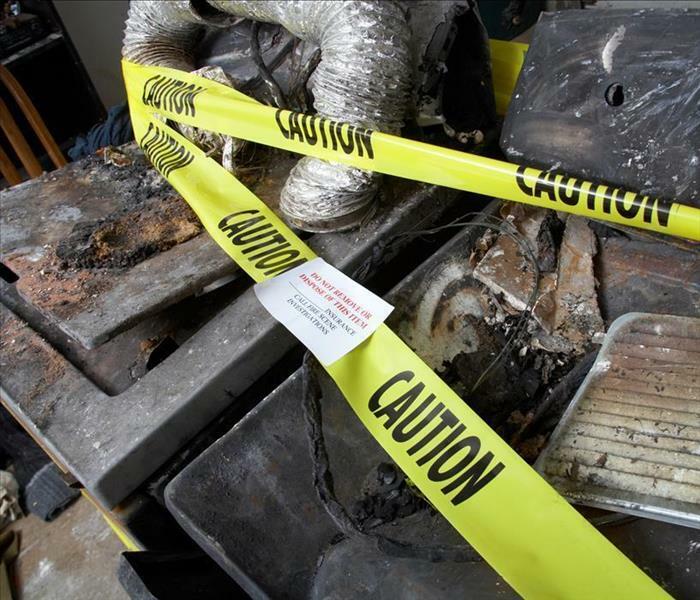 Our technicians immediately determine the scale of the damage to be restored, and in the case of an employee breakroom fire, the area would be contained to limit cross-contamination outside of the breakroom, and the items that are too charred or damaged to restore are removed from the area. Then we deal with the soot and residues that can be seen. 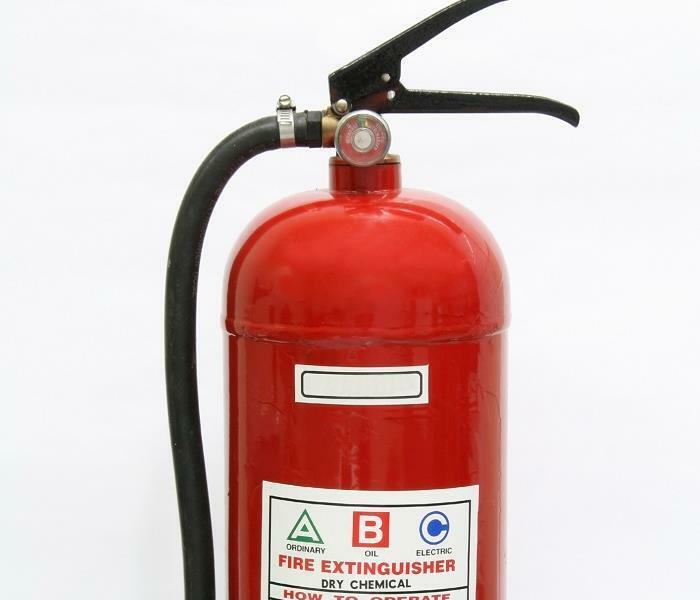 Fire extinguishers leave a powdery film on surfaces with a pungent odor until it is removed. We use handheld vacuums with HEPA filters to capture the airborne particulates. We then use our professional-strength cleaners with wet and dry sponges as needed to clean the remaining residues. This level of cleaning is often enough to eliminate odors. We inspect and check the ductwork to ensure the HVAC is not retaining any lingering fire odors. Sometimes after a fire loss and thorough cleaning, odors remain and no one wants to come into a breakroom that smells like smoke. We have multiple methods of treating soot odors including air scrubbers which effectively filter and clean the air. If necessary, SERVPRO technicians have stronger applications that eliminate odors at the molecular level. We know commercial fire damage can affect both your revenue stream and your employees, that why SERVPRO of Reading at (610) 779-8189 is available 24/7 to work for you to bring your business back to its preloss condition as quickly as possible. Spring is a great time to visit Pollinator Garden click here for more information. When It Comes To Dealing With Water Damage In Your Kutztown Home, Our Crew Is Your Best Option! Please contact us at (610) 779-8189 as soon as the storms subside so we can help and stay out of your home for safety reasons until it is safe again. There are few places where people do not need to worry about flooding, and Kutztown is no exception. Anywhere rainfalls can be vulnerable, even though it is not the only cause of flooding. Floods happen when land which is usually dry experiences overflowing water over it. Most times, when streams or rivers overflow their banks, this can happen. A ruptured levee or dam, excessive rain, or a beaver dam in the wrong place can overflow a river, flooding the land next to it. When your home in Kutztown has experienced flooding, you need help cleaning everything up right away. The longer water sits, the more damage is done, so that is why SERVPRO is an excellent choice for flood damage restoration. 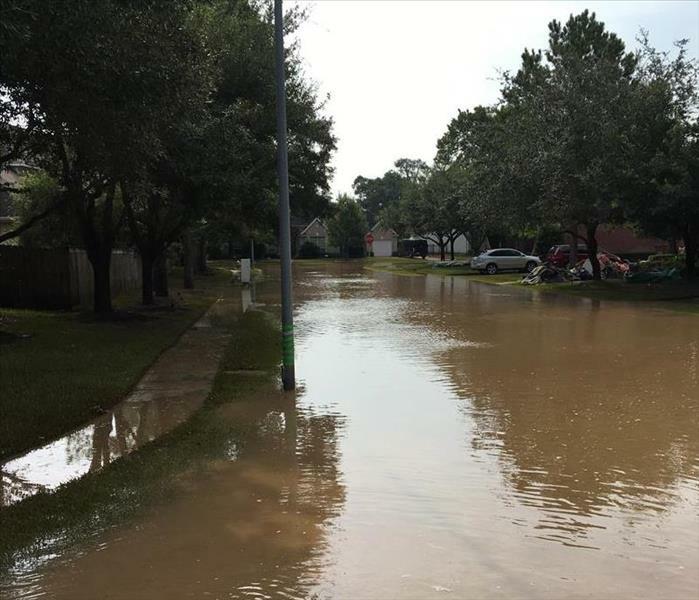 As an experienced and well-trained restoration company, we understand how time is of the essence after floodwaters have invaded your home and we move quickly to help you when you give us a call. A majority of floods develop in just days or even hours, but this time frame gives residents plenty of time to evacuate or prepare. Sometimes, they generate faster and with little warning. Known as flash floods, they can be very dangerous, instantly turning a peaceful brook into a wall of water that thunders down and sweeps away all in its path downstream. Since structures which have been damaged by storms and flooding can suffer from significant damage, SERVPRO techs are very careful when we first enter your residence. If water has been sitting in your home for any length of time, materials which are saturated, such as drywall and flooring, can become weak, which creates a hazard for everyone. We check for any structural hazards before entering and proceeding with water mitigation and restoration. We ensure to keep you and your family out of the home until the structure is safe again. If your roof was at all damaged and water has entered through the hole, we check for water trapped in cavities of the ceiling. When it is wet, drywall softens and ceilings can fall in. Weep holes are drilled so that we can free any trapped water in the ceiling cavities. We are cautious not to make a straight line of holes, so we avoid perforating the ceiling. We examine subflooring to figure out what it is made of and how stable it is if it has become wet. While walking around we must be cautious as nails which have become exposed, splinters, broken glass, or other sharp objects can be in the water. SERVPRO of Reading is an experienced restoration company who can help dry your home in Hamburg, Exeter, or Gilbertsville out after flooding. Please contact us at (610) 779-8189 as soon as the storms subside so we can help and stay out of your home for safety reasons until it is safe again. Click here for more about Kutztown. Don’t let fire damage prevent you from getting back into your home. Contact SERVPRO for remediation efforts. A fire in your Exeter home can be very stressful. It can also cause subsequent water, smoke, and fire damage, further impacting your loss. 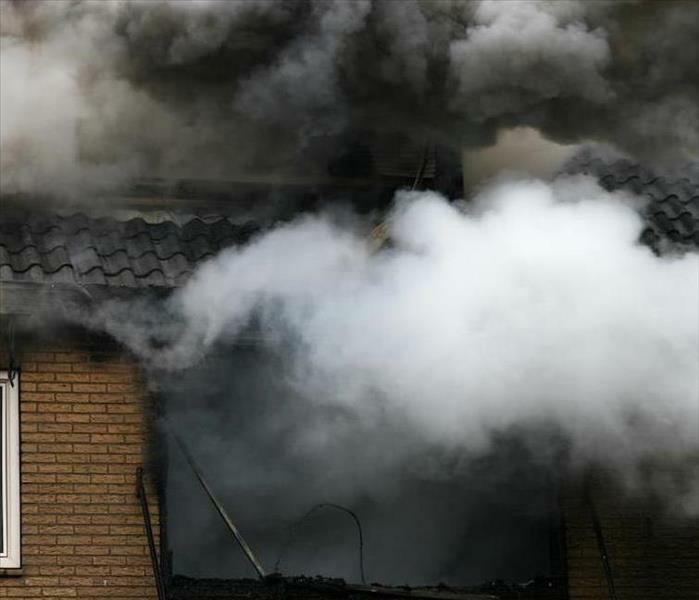 Even small fires can create a large amount of smoke, which affects your personal belongings, and possibly your health. You must make some critical decisions fast. Waiting too long to get the damages repaired can create more problems and higher restoration bills. When a fire and fire damage in Exeter has afflicted your home, acting fast is essential to avoid additional damage from settled smoke and water from firefighting efforts. SERVPRO staff is always available with the proper tools and training to assist you. We also understand that fires are unnerving, so we try to take care of all we can so you can concentrate on your family, including speaking to your insurance company for you. Immediately after the catastrophe, keep a record of anyone you speak with, including representatives from the fire department. If possible, remove any valuables from your home like jewelry and cash which could be taken quickly after a fire. You also do not want to throw anything away yet that was damaged. When cleaning your home, SERVPRO technicians prevent materials being saturated with cleaning product with surface techniques. The spray and wipe process involves lightly spraying or misting the cleaning product onto the surface, then wiping it with a dry cleaning towel. It is used for cleaning furniture and hard surface contents. Foam cleaning is good for cleaning materials which can be damaged by excessive moisture from the cleaning products. By using foam, we use less moisture on the surface than when using a liquid cleaning product. Do your best to document all of your personal items by taking pictures of them. When your insurance claim is made, all the damage is looked at, but it needs to be documented for you to be reimbursed. You should also document any expenses you incur while you are out of your home during restoration, such as living expenses and food. SERVPRO of Reading can assist you in restoring your home in Boyertown, Morgantown, or Kutztown after a fire. 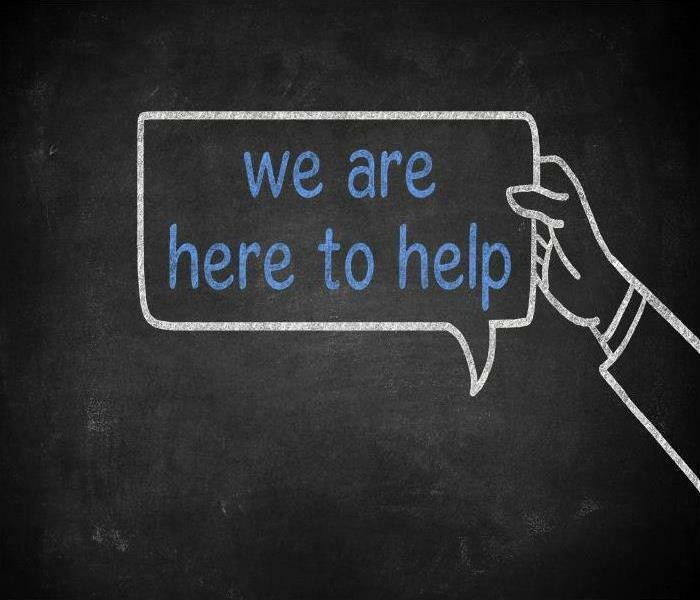 You can expect us to handle you and your family with care when you give us a call at (610) 779-8189. Click here for more information about Exeter. An estimated 2,900 residential fires per year identify a dryer issue like lint or electrical malfunction as their cause. Do you want to be part of that statistic? There are thousands of these appliances that can cause a fire loss in Kutztown homes. A clothes dryer works by forcing hot air through a turning drum. The wet clothes then pass through the drum to be dried by the hot air. Most wet clothes contain one and half gallons of water. While most of the lint goes into the lint filter some of lint is carried through the vent system along with moist air. Lint is a very combustible material that can accumulate both in the dryer and in the dryer vent. Accumulated lint leads to reduced airflow and can be a potential fire hazard. Have your dryer cleaned and installed by a professional. Do not use your dryer without a lint filter. Make sure you clean the lint filter before and after every load of wash that has been dried. Make sure the air exhaust vent pipe is not restricted and the outdoor vent flap will open when the dryer is operating. Request from SERVPRO to every several years inspect your vent duct for obstructions that may lead to a fire loss. Our techs can clean out the conduit and also clean the house ductwork. Make sure the right plug and outlet are used and that the machine is connected properly to prevent house fires flaring up from the outlet. Don't leave the house when the dryer is on. If your clothes are not drying then call a professional to come look at your dryer. The life of this heavy appliance is lengthened when the strain of not forcing hot damp air out the vent is eliminated. Be Green, and save some energy! Trust SERVPRO to provide tips and restoration if you have a water, fire, or mold damaging event in your home. We are ready to help 24/7 by calling (610) 779-8189. About our home town by clicking here. The Mobile ERP Emergency READY Profile is here, and we can help to keep our business in business. Ask us how and we can set up an appoint for a no-cost consultation at your convenience. 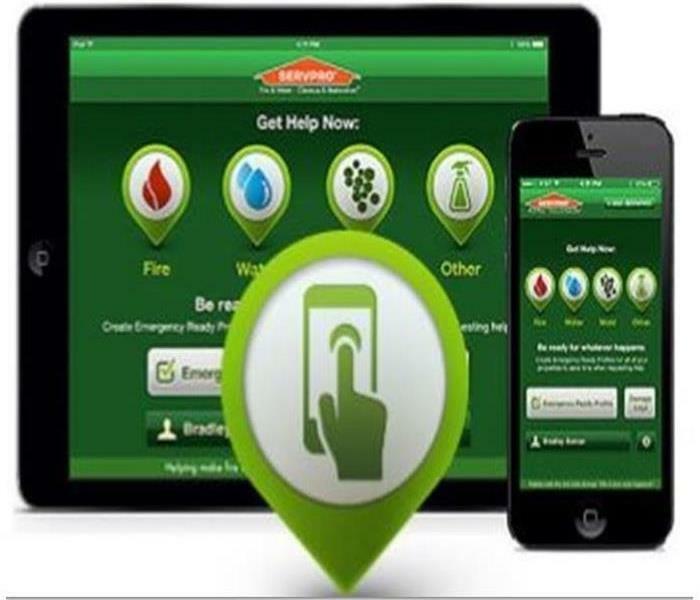 SERVPRO's new Emergency READY Profile (ERP) system allows business owners in Reading to keep track of all properties and locations during a fire or storm and respond appropriately. Using the tools, you can have multiple individualized profiles and information sets for each property you own or manage, and with OUR ERP our technicians can have all the information they need to get your business running back to normal. As a result, they can save owners of multiple properties, such as landlords, thousands in repair costs after a fire by responding fast to each location. During a fire, or water damaging event to an apartment complex or other rental properties, there is always physical damage. Usually, our technicians have to spend time evaluating the building and formulating an approach, but this process is a great way for SERVPRO's response quickly. Through it, we can access relevant contact information, building plans and layouts, and critical information about utility systems. This is especially useful to fire chiefs, who can respond quickly to help locate the fire source. Knowing where the shut-off valves, electrical panels, and drainage infrastructure are located and how they function is key in mitigating losses from water or fire loss. This mobile device allows the party in charge to have delegated representatives to be on-site if needed to okay any work orders, and insurance forms to work along with an adjuster. SERVPRO of Pottsville operates on the principle of mitigation to respond around the clock and save landlords thousands in restoration costs. Call us at (570) 622- 8991 for our help or to learn more about the Emergency READY Response Plan. Protect your home and its foundation by calling SERVPRO immediately if you suffer water damage. Preventing water damage to your Reading home is much cheaper than paying to repair it. Water is the number one culprit which can weaken the foundation, the core strength of your home. Serious structural damage can eventually occur with water damage. Damp wood also invites carpenter ants and termites, plus creates the growth of mold. Preventing water from damaging your home in Reading can be done with a few easy strategies. However, if you are already in a situation where you need water cleanup services and restoration for your home, SERVPRO can help you any time you need. As a professionally trained remediation company, we waste no time drying your home out to its usual day-to-day condition. One thing that helps greatly is to ensure you have good drainage. Poor drainage causes your foundation to weaken, creating cracks and uneven settling. Pathways for water to enter your home develop as well. Keep your gutters clear of debris and make sure that the downspouts direct water five to ten feet away from your home. Your yard should also be sloped a minimum of six inches over a ten-foot span going away from your foundation. When water has seeped in through your foundation, you need SERVPRO to help you clean up the water damage in your basement or crawl space before the structure of your home suffers too much damage. In a case like this, we may need to use structural cavity drying equipment to allow us to direct airflow into the cavities of your home’s walls. These machines replace moist air with dry, warmer air, increase the temperature of the surfaces and lowering the vapor pressure. Doing so increases the rate of evaporation. Dehumidifiers are also used to take water vapor out of the air. Lowering how much water vapor is present lowers the humidity ratio and increasing the rate of evaporation. We continue this procedure until your structure, and the contents in it are dry. Keep an eye out for any leaks in your home as well. Persistent leaks lead to mold growth, rot, and even insects as mentioned above. The sooner you find a leak, the less chance for additional damage there is. Darker spots under sink cabinets by piping, toilets that wobble, ceiling stains, and visible drips are all signs of leaks. Once a year or more check your roof for any look for missing, loose, or damaged shingles. Caulking which is cracked needs to be repaired and also look for any leaks around flashing. SERVPRO of Reading is ready to assist you in drying your home in Gilbertsville, Hamburg, or Boyertown after any water damage emergency. Once you realize there is a problem, do not hesitate to call us at (610) 779-8189 so we can help you. For more on Reading, click here. Whether mold affects just the corner or a larger part of your home, contacting team SERVPRO is your best recourse for effective remediation. Mold can develop from simple problems around your property that you ignore. A small leak in the roof may not raise the alarm because there is no flooding, but it can lead to a severe mold problem. One great way to deal with mold issues is to hire a professional remediation service. Mold remediation is part of our restoration services, and we rely on advanced technologies to restore affected properties to their preloss states. For effective remediation of mold damage in Exeter, there is a need to identify the actual cause of the problem. Every case of mold infestation has an underlying moisture issue but assuming what that cause is without checking can be disastrous. For example, an infestation caused by condensation can be confused with a roof leak. Our SERVPRO technicians use advanced tools such as FLIR thermal cameras to check for cold spots and trace moisture issues in walls and other concealed surfaces. Using such tools makes it easier to identify the source of moisture. Mold problems develop easily after water loss incidents such as spills or flooding. Even fast response to the water loss may not be a guarantee against mold development. Leaving moisture traces on materials or higher than usual relative humidity can fuel mold growth. Our SERVPRO technicians have a variety of moisture control equipment to help eliminate all moisture from the property. With thermo-hygrometers, it is easy for our technicians to check humidity and temperature levels in different parts of the property and surrounding areas allowing us to dry them properly. We also have different varieties of drying equipment like dehumidifiers and centrifugal air movers that produce higher static air pressure for improved drying. 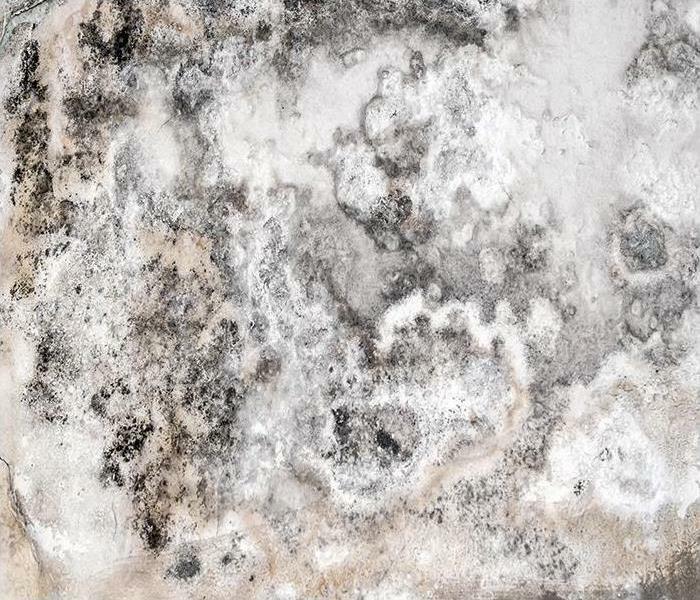 Mold residues stain surfaces and lead to deterioration of materials. Saving some of the affected materials can help reduce cost or preserve items with sentimental value. Our SERVPRO technicians rely on advanced technologies such as soda blasting and dry ice blasting to remove stubborn mold residues from materials without damaging them. In case of mold issues in Reading, Kutztown and Birdsboro areas, call SERVPRO of Reading to assist. You can reach us at (610) 779-8189 any time. We're Faster To Any Size Disaster. We have the training, equipment and the right systems in place to handle flood damage. We are available to help you with restoration 24/7. Weather-related overland flooding or internal flooding from appliance failure or sewer backup in your Reading home defines chaos. You and your family feel high levels of stress as you watch the water rise. In addition to the damage excess water does to the structure of your home, furnishings, household goods, and personal possessions all suffer. One strategy to bring order to the mess flooding causes is a pack-out by our trained technicians. Water removal and structural drying in Reading after a flood damage progresses more easily in if we do a pack-out. Eliminating the need to move large furnishings repeatedly and to attempt to get other items out of the way increases the time it takes to manage the moisture soaked into building materials and fixtures. We can more thoroughly evaluate the damage done to the articles packed out and devise focused plans to clean and dry them appropriately when we can control the environment. SERVPRO uses our Contents Claim Inventory Service (CCIS) to create and manage the inventory of articles we move out of a flood-damaged space. Detailed lists, digital pictures, and a barcoding application ensure all your property is accounted for and secured. We track assessments, restoration strategies, and results, perfect for insurance documentation purposes. We consider and employ a broad range of cleaning and drying protocols to restore items you might otherwise discard. Our production technicians are skilled and our equipment and processes top-notch. SERVPRO has a restoration vision for each project, saving money, time, and memories as we bring badly damaged possessions back to preloss condition. A pack-out allows the SERVPRO technicians at your home the freedom to concentrate on water removal and extraction. Without the added moisture load of soaked possessions in the flooded spaces our efforts to complete structural drying proceed more efficiently. Transfer of dyes and soiling from wet movable objects to floors and other building materials is reduced dramatically in a pack-out. When we return the restored articles to your cleaned and dried home, you and your family regain both comfort and peace of mind. SERVPRO of Reading has the technicians, training, systems, and equipment to restore your home and possessions after flood damage. Waste no time and call us at (610) 779-8189 immediately after the flood waters intrude. For a list of fun events this month click here. Fire extinguisher residue requires specific cleaning methods. As handy as fire extinguisher canisters can be in your Kutztown home for small flare-ups, this suppression system gets designed to put out flames quickly and not to limit the mess that it can make. Often homeowners find that putting out a small fire causes more damage and need for cleanup than the fire itself did. Our professionals can help with all stages of fire recovery from debris removal to cleaning up the residue that extinguishing foam can leave on structural elements and contents of your property. Fire damage in Kutztown can stay contained to a small area when you utilize fire extinguishers quickly in your home. The suppression chemicals inside these canisters get designed to smother the fire before it can get out of control, but this protection does not come without a need for extensive cleanup and evaluation of structural integrity. Our SERVPRO Franchise professionals respond to your fire emergency can assess the full scope of the damage and determine the restorative actions that your property requires to return to pre-fire condition. Cleanup of residue from the extinguisher happens both through conventional cleaning approaches with wet and dry sponges on accessible surfaces, but also requires specialized equipment designed to reach inaccessible areas more easily. It is our focus to provide efficient and effective fire damage cleanup so that you can return to normal life seamlessly. Carpeted areas often require focused attention as well when cleaning up extinguisher residue. If the carpet has managed to come through the fire unscathed, it still requires our premier cleaning services including steam vacuuming and dry cleaning to pull the chemical residue and any soot or smoke particulates from the fibers of the flooring. Many factors determine the needs of your home following a small fire. 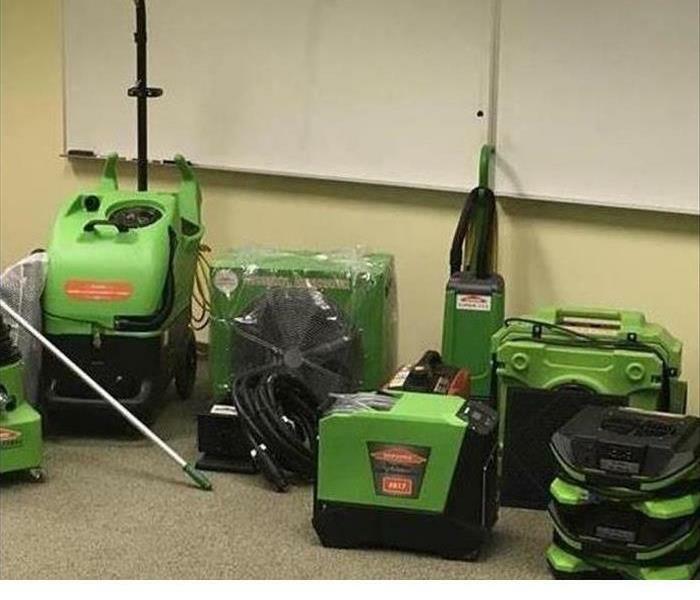 Our SERVPRO of Reading rapid response team has the experienced personnel and industry-leading equipment designed to make restoration as efficient as possible in a traumatic time like this. You can reach our trained professionals 24/7 by calling (610) 779-8189. Read about Kutztown University here. Got A Mold Infestation? Let Our Team Help Restore Your Home In Reading! If you suspect there may be active, growing mold in your home, call us today at (610) 779-8189 to schedule one of our inspectors. Homeowners in Reading, especially those living along the banks of the Schuylkill River, have a healthy respect for what flooding can do to their residences. 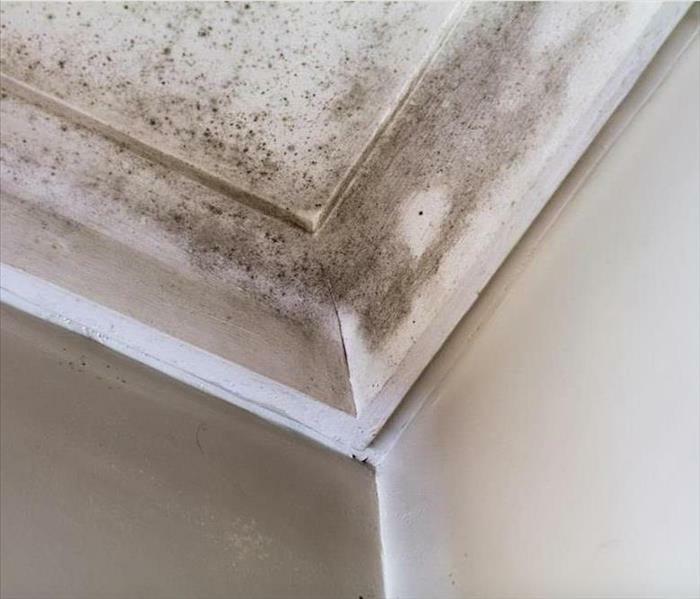 What many do not realize is their home can also see a mold infestation begin if it is not dried thoroughly after removing the water. Mold cleanup in Reading homes and other communities after an infestation is not a simple process, but SERVPRO takes every step we can to preserve property and return every item possible to the owner promptly. Our restoration teams need to eliminate the source of moisture that allowed the mold to grow, clean and eliminate the threat of mold spores to property, and remove items too infested for restoration. Water missed after removal is usually a small amount in an out-of-the-way location such as behind a wall or underneath a washing machine or cabinet inside the garage or laundry room. One of our inspectors uses an air content meter to measure mold spore levels and follow the highest concentration to the source of the infestation. This location is most often the moisture source as well. SERVPRO technicians can quickly dry the pool or puddle using a commercial water vacuum, sponges, or cloths. They can also perform minor repairs if there is a leaky pipe or a seep in an outer wall that is letting in water from outside the home. Eliminating the moisture source stops growth completely, eventually forcing the spores back to an inert state. Next, team members spray all visible mold with an anti-fungal agent. That kills active spores and prevents further growth, eliminating the further threat to the home. Now, they begin removing inert spores from affected items. In most cases, that means using sponges with a mild cleaner to wipe down the surfaces. If active spores had time to grow into a property item like drywall panels, technicians carefully remove them, break them down if needed, bag them to prevent contaminating other areas of the home, and then dispose of them according to state and federal regulations. Our end task at SERVPRO of Reading is to eliminate active mold spores in area homes and return them safe for reoccupation to the owner as quickly as we can safely do so. If you suspect there may be active, growing mold in your home, call us today at (610) 779-8189 to schedule one of our inspectors. We are here for you. 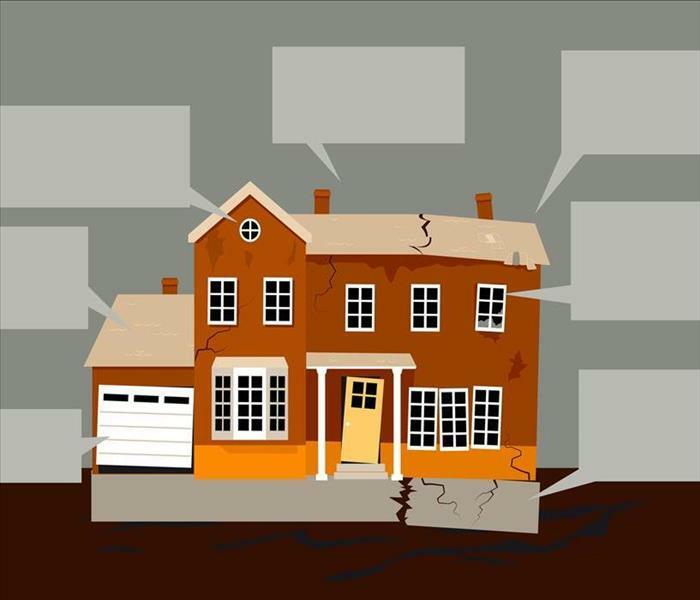 4/10/2019 - When It Comes To Dealing With Water Damage In Your Kutztown Home, Our Crew Is Your Best Option! 2/12/2019 - Got A Mold Infestation? Let Our Team Help Restore Your Home In Reading!